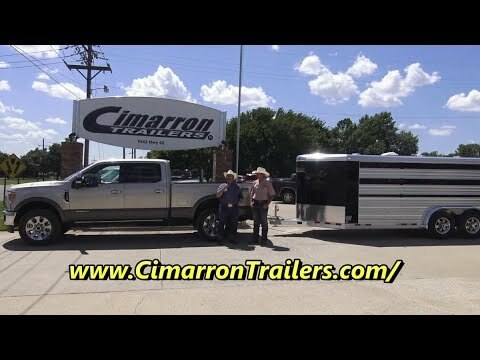 MrTruck (MrTruck.com) reviews Cimarron Trailers (CimarronTrailers.com) in Oklahoma. Premium aluminum horse trailers , Living Quarters, show cattle, hogs, sheep, goats etc. Better by Design, quality trailers, Mr Truck top pick aluminum trailers. Factory review.